There are many situations where calling on a professional locksmith might come in handy. From the “I’m locked out and looking at my house keys through the window” scenario to the “I’m concerned about my home security” situation, finding a Birmingham locksmith you can rely on to deliver assistance and advice, whatever the issue, is important. Serving Birmingham city centre and the surrounding areas, our Birmingham locksmith services provide ultimate peace of mind and optimum protection. Our lock replacement and lock repair services deliver results to homes and businesses across Birmingham, whilst our mobile service can be called upon around the clock. Thanks to superfast response times of between 20 and 60 minutes, you can discover the help you require in the midst of an emergency, whether you’ve lost your keys, need a lock changed or are locked out of your property. We also provide professional assistance to bailiff and warrant officers operating across Birmingham. With years of experience within the industry, we provide the emergency locksmith, lock replacement and security lock installation help our customers need 24 hours a day, 7 days a week. Get in touch with our Birmingham locksmiths today for fast response times, specialised services, and a fully certified approach that guarantees quality every time. 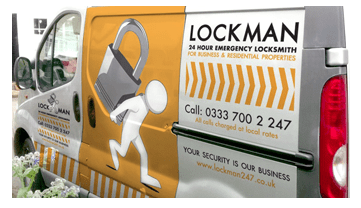 Domestic Services include: Emergency Entry, Lockouts, Lock Changes, Security Assessments, Onsite Key Cutting Lockman Birmingham offers a true 24 hour 7 days a week service. When you need an emergency locksmith, call me today and I can help you. I am a fully trained professional locksmith, CRB checked and have many years experience providing locksmith services, replacing locks and gaining entry. We operate a 24/7 locksmith service and cover the Birmingham area. When you are locked out of your home, lost your keys and are unable to gain entry to your home, Lockman Birmingham is here to help you. No one asks to be locked out, or expects a lock to fail and no one ever looses their keys intentionally. We understand how much distress this causes for you and our locksmith services are designed to get you back in quickly with the minimum amount of damage to your property. Any opportunist burglar can snap your lock and gain entry to your home in a matter of seconds. 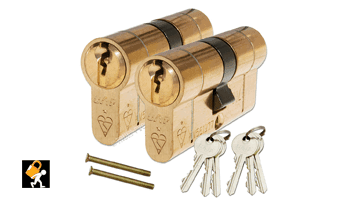 Make his job harder and ask Lockman Birmingham to fit Anti Snap locks to your home today. Who has your keys or who has had your keys? A simple lock upgrade is all it takes and we can change your locks ensuring that no unwanted visitors can gain entry to your property in Birmingham. You do not plan to get locked out or experience a lock failure and we are here to help you. We do not charge a call out fee or VAT when we turn up to help you with your lock emergency, we are the only Birmingham locksmith you will need. We take your security seriously and want to help you improve the locks at your property. Ask us today about fitting some Anti Snap / Anti Bump locks.